This is the text of a paper presented at the first Postgraduate Research Morning hosted at St Hild’s College in Sheffield on Monday 5th June 2017. I want to talk about discipleship today from within, what many are calling, ‘the New Monastic Movement’ of which I am part. This movement has emerged out of a protest against the steady increase of individualism prevalent in our Western culture. Many would argue that the individualisation of our society began in the Enlightenment with philosophical thought becoming more introspective and focussed on the subjective interpretation of reality famously summarised in René Descartes, “I think, therefore, I am.” The Church has not been immune to this social deconstruction and this has led to a powerfully individualised faith experience. This erosion of the corporate understanding of faith has impacted the Church’s discipleship and life together. With the secularisation following on from the Enlightenment project and the further mechanising and fragmenting of all aspects of our lives, the place of community has diminished. In the late 20th century, with the Church increasingly unwilling or unable to offer intensive forms of Christian discipleship, some have gathered together to re-discover what it means to live out the communal life as described in the New Testament. 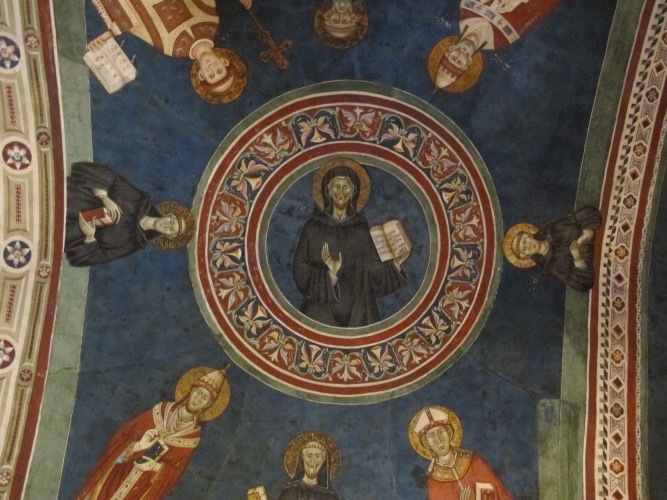 The faithfulness of the monastic and mendicant saints throughout history became wells around which these small groups were nourished, inspiring them to live counter-culturally. These ‘pioneers’ discovered that the shared life they dreamt of had long been practiced by communities like the Franciscans, Benedictines and the Jesuits, among many. Others arrived at a similar place by a different route, having sought, in the first place, to rediscover the spiritual fortitude and charisms of the very same saints of old and so to re-dig wells of Grace in the ‘places’ where God has worked for generations before. Regardless of the path towards a contemporary articulation of the monastic way of life, they all learned that the historic forms were in need of some re-imagining for the new context in which we now live. In this way these expressions of communal discipleship can all be reasonably described as ‘new monastics’. This ‘toleration’ of monasticism by the Church, however, relativized the discipleship lived out in the monastic houses. The Church was able to avoid the criticism of secularisation by living the life of holiness vicariously through the achievements of these monks who obeyed the radical call to forsake all earthly things and follow Jesus Christ in discipleship. Bonhoeffer argues that Martin Luther’s journey through the monastic life led him to see how the monastic life had failed the Church by perpetuating this lie that Christians could pay others to be ‘disciples’ on their behalf. The monastic houses had become, by the time the Reformation began, propped up by the financial donations by the Roman Church paying a select few monks to be obedient for the rest of God’s Church. Luther’s protest was an attempt to release the radical obedience to follow Christ, found in the charisms of monastic life, and invite all Christians to participate in this form of devoted life of monasticism. St Benedict spends many chapters portraying what an abbot should and should not do; he spends so much time that it begs the question, “why is it so important?” It is important because the role of the abbot directly impacts the discipleship of the rest of the community. ‘The first thing that defines the abbot,’ Esther de Waal writes, ‘is not the position at the head of an institution but his relationship with sons’ She links this with the model of discipleship undertaken by monks. The Rule of St Benedict is immensely practical and pragmatic and can be used as a manual for a devoted life to following Christ. What we need to learn from it and the wider monastic heritage is the communal necessity of this way of life. Discipleship for Benedict, Francis and the other monastic fathers and mothers can only be done with others. Love can only be practised in the cut and thrust of community life. If the vows to stability, obedience and the ongoing conversion of one’s life can be seen as the soil in which monastic discipleship is rooted and from this the tree of discipleship can bear good fruit then we must acknowledge that all three require other people to be faithful and obedient to and to be changed by. The monastic life, I would argue, is still ‘a living protest against the secularization of Christianity, against the cheapening of grace.’ But in our modern context this requires us embracing the challenge of community life as outlined in the Rule of St Benedict. In this portrayal of community life discipleship is intrinsically linked with the submission of our self wills to the discipline of the larger community’s apprenticeship training. This is not the romantic, sentimental community life that we all easily describe in our dreams of missional communities but a very real and costly life which demands obedience and stability in order to enter into the inner change of discipleship. Without this ultimate commitment to the other monks, to wife or husband, to child or parent, change is difficult at best because it lives under the threat of abandonment. With a commitment to stability, change is no longer a threat but something to be undertaken together. One can change or ask for change in the other when one knows that one is loved and that this request will not drive the other away.